Let’s assume that you have prepared the wall surfaces in your bathroom in readiness for your tiles and that you have accurately planned the layout so that you don’t end up with narrow strips of tile in positions where they would be an annoying eyesore. If you haven’t already done so you can read the first 2 articles in this series which will help you to do that: “Achieve Perfectly Tiled Walls by Preparing Your Surface Properly” and “Determining The Layout for your Bathroom Wall Tiles“. So your wall surfaces are ready for tiling and you have marked your horizontal and vertical starting lines carefully on each wall and wall section. These are both crucial steps to get right if you want your wall tiling to have a professional and long-lasting finish so don’t rush them. You are now ready to start fixing your tiles to the bottom half of the wall. This is essentially the same whether you are using porcelain tiles, ceramic wall tiles or any type of natural stone tile. What will vary are the types of tools and adhesives you might require and, in the case of natural stone tiles, any sealant coating they may require. In the case of most natural stone (and particularly limestone tiles) seal the tiles before installing them to prevent adhesive and grease from your hands marking the surface. Spread your adhesive over a small area – the size you can tile before the adhesive starts to dry. This may be a case of trial and error for the first few tiles but you will soon get the hang of it. Position the first tile immediately below your horizontal layout line and to one side of the vertical layout line on the largest section of wall area in your room. Then continue tiling with whole tiles down to the floor and then sideways to the corner of the room of other boundary such as the bath, doorway etc. A good adhesive should hold the tile in place relatively quickly and they shouldn’t slip down but if you find the tile slipping substantially it may be a case of the wrong adhesive for the type of wall tiles you have chosen or the type of substrate on which the tiles are being fixed. The absorbency of the substrate will affect how quickly and easily the tile is held in place. For example, tiling over a painted surface will tend to take longer for the adhesive to hold the tile in place than tiling onto a more absorbent surface such as plaster. Using too much adhesive can also cause a tile to slip down so check the recommended amount to use before starting. In order to achieve a professional finish when you are installing wall tiles make sure you use tile spacers for even spacing between each tile and also use a spirit level to check you horizontal and vertical lines at regular intervals. When you have completed the lower half of the bathroom the upper half is generally easier because you now have a firmly established horizontal line all around the room. Just continue tiling upwards and across in the same way as you did the lower half of the room. Once you have positioned all whole tiles on a wall or wall section, then you need to start cutting tiles to fill the gaps left between the whole tiles and the floor, ceiling, doorway or sanitary ware. Getting a good, clean cut is perhaps the most difficult part of tiling. If you are installing ceramic tiles it is possible to score them and crack them along the score line but if you have chosen porcelain wall tiles you will need a good quality electric tile cutter. For thick porcelain tiles you may need a professional cutter but these can be hired, if necessary. 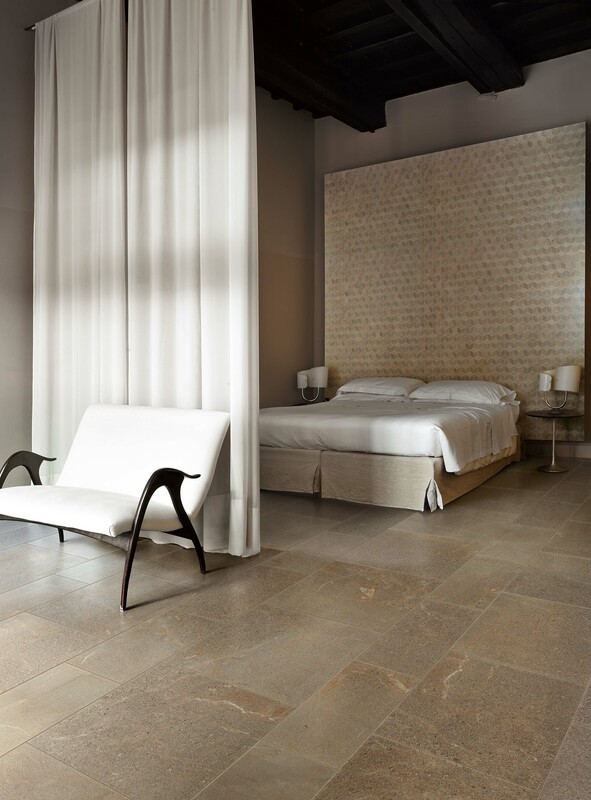 Natural stone such as limestone or marble will need to be cut with a wet cutter to prevent the edges chipping.